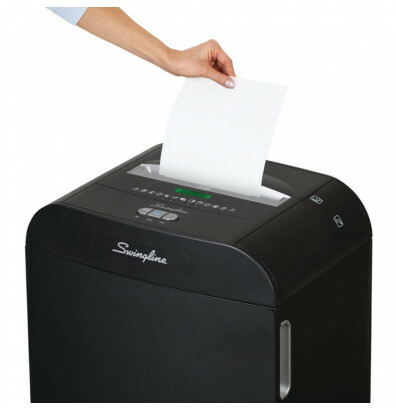 The Swingline GBC DX18-13 cross-cut paper shredder destroys documents that need to remain secure by shredding up to 18 sheets per pass into 5/32" x 1-3/4" cross cut particles (security level P-3) with a wide 10" paper entry. Capable of shredding staples, credit cards, paper clips, CDs/DVDs, and junk mail. Recommended for environments of 5-10 users. Swingline DX18-13 offers continuous duty run time for faster, more convenient shredding without cool-down periods. Auto-oil feature automatically lubricates cutters with synthetic oil to ensure cutters move freely and shred easily. Intelligent power save shut down with automatic wake-up conserves energy. 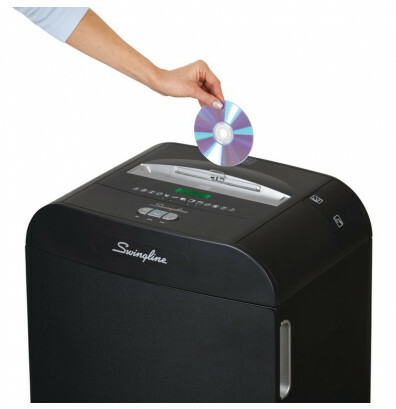 The DX18-13 shredder features enhanced office safety and energy efficiency. Meets CSA/US certification laboratory product safety standards. Equipped with jam free protection, the DX18-13 shredder is able to run without the risk of jamming; a red light will illuminate to warn when there is too much paper inserted. Self-cleaning mechanism automatically remove shreds that cause build-up and lead to jams. An efficient 13 gallon pull-out bin makes for convenient refuse storage. Note: For up-to-date warranty information, please refer to specifications below. Recommended for 5 - 10 users. DX18-13 shredder, user manual, and 2-oz bottle of oil. We received our new shredder and the oil compartment was cracked so we had to send it back and we got a replacement with no hassles, but we received our new one and the oil still seems to leak in the bag below, not sure why? Also we thought when we purchased it that it was the tiny square pieces that would be shredded when it said cross cut that's what we thought it meant, but make sure it says micro next time, was a little disappointed in that. Also wish it had a box underneath instead of a bag with a rack it slides off when emptying. Not worth the price. 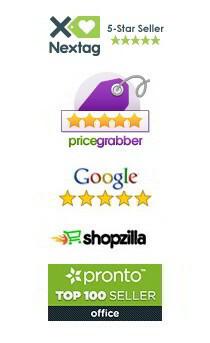 I have 2 other GBC shredders and the quality of the product can not be surpassed. However, I specifically ordered a shredder with a 13 gallon bin because I hate having to empty so often. The description for the shredder indicated that it had a 13 gallon capacity and even included a 13 gallon bag. Even if the bag can be filled before needing to be replaced, the shredder does the same as other shredders with smaller bin capacities....it stops until you empty or rearrange the shredded paper in the bin. My MAIN reason for ordering this shredder and paying so much more for it was for bin capacity and I feel that it is very misleading selling this shredder as one with a 13 gallon bin capacity. I do like the shredder itself. Had it been taller to really accommodate a 13 gallon bag, it would have been an awesome buy. It is relatively quiet for a shredder. This is the second Swingline GBC shredder that I've purchased. We loved the first one but it was ruined by a new, nervous employee who dropped something into the mouth of the shredder. It was solid steel and the shredder blade ate it up. Unfortunately the shredder needed lots of dental work and we opted for a replacement. I of course replaced it with another Swingline GBC. This product is just what I was looking for!!! I've tried three or four different home/ office type shreaders. The previous brand and model that I had before was not available this last time when it was time to replace it for a new one. 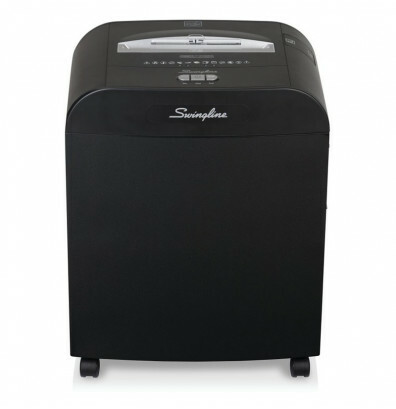 I carefully read a lot of reviews and decided to go with the Swingline DX18-13 cross-cut jam free Shredder, 18 sheets, 5-10 users. I'm quite satisfied with my choice and would not hesitate to choose this model again if the need arises. Many thanks to Swingline!!! great shredder but very small capacity is a hindrance by requiring staff to stop work and empty the bin plus the additional cost of bags.